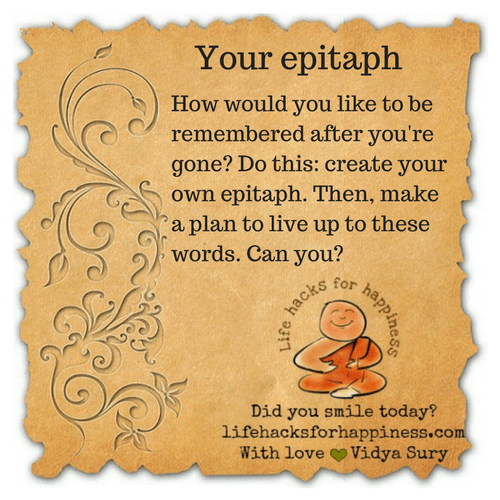 Do this: create your own epitaph. Then, make a plan to live up to these words. Can you?